Your dog is your best friend in the world, isnt it? You love pampering him, playing with him, hugging him, and even annoying him with strange-looking toys. You simply love it when he jumps on you in happiness in a bid to show you how much he loves you. Dont you think you should reciprocate in kind? Dont you think he deserves all the love and care in the world? Yes, he does. When it comes to dogs, love is not just about pampering him and showering him with kisses. If you want to show your dog that you love him, you should ensure that he is healthy and happy. To ensure his health, you have to pay close attention to his diet. What you feed him is very important. 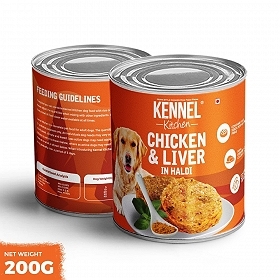 You will find different varieties of dog food to choose from such as dry dog food. Dry dog food is extremely nutritious and popular. The biggest advantage of dry dog food is that it promotes oral health. Your dog has to chew his food and then swallow it. That ensures proper oral exercise and overall oral health. Dry Dog Food is also pretty affordable. Another advantage is that you can store dry food even after you open the package for some time. You just have to make sure you store the food in a dry place. Royal Canin : Royal Canin is an extremely popular brand and sells such a great variety of dog food that you will actually be baffled! You can categorize the food based on age, breed, and breed type. Right from the Royal Canin Baby Dog Milk For Puppies to Royal Canin Cyno Energy and Royal Canin Adult, you will find plenty of options to explore. Thus, you can pick out the right pack for your pet from Royal Canin with utmost ease. Taste of Wild: The most popular product from this brand is the Taste of Wild Pacific Stream Canine Formula Dog Food. This dry dog food has fish protein, antioxidants, essential oils, and vitamins that will cater to the overall development of your dog. This type of food is ideal for all dogs. Eukanuba : Eukanuba dry dog food can be divided based on specific breeds or breed types as well as ages. Some popular products from this brand include Eukanuba Dog Food All Breeds Puppy Start, Eukanuba Dog Food Puppy Lamb and Rice, Eukanuba Dog Food Adult, and Eukanuba Dog Food Adult Light Large. You can choose based on the requirements of your dog. 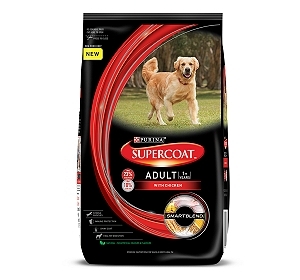 Pedigree : Pedigree is a very popular brand and is very well known for the highly nutritious dry dog food it offers for dogs. 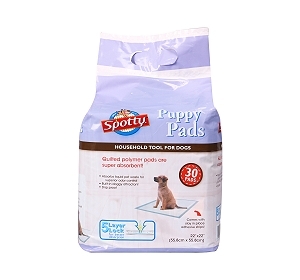 You will find many products from this brand such as Pedigree Dog Food Puppy Starter and Weaning Professional, Pedigree Dog Food Puppy Chicken and Milk, Pedigree Adult Dog Food Chicken and Vegetables, Pedigree Adult Dog Food Meat and Rice, Pedigree Dog Food Adult Milk, Rice, and Vegetables, and so on. You can pick the right one based on the breed of your dog and his age. Cibau : Cibau caters to the needs of dogs specifically. For example, if you have a puppy or a gestating mother, you can buy the Cibau Puppy Small Bites Dog Food. If you have an adult dog, you can buy the Cibau Adult Dog Food. All foods are divided based on age and breed. You can choose accordingly. Natural and Delicious : Natural and Delicious is a popular brand that does justice to its name. It indeed provides natural and delicious dry dog food for dogs. 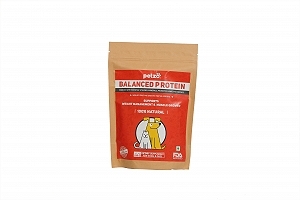 All the dry dog foods are made out of Chicken and Pomegranate from this brand and are divided based on the age of the dog such as puppy, puppy maxi, adult mini, adult, and adult maxi. Hills : Hills has a variety of dry dog food to offer right from Hills Science Plan Adult Lamb and Rice to Hills Science Plan Puppy Mini Chicken. The brand also sells products such as Hills Science Plan Adult Oral Care and Hills Science Plan Adult Sensitive Skin to take care of the specific needs of dogs.